Find my teaching statement/philosophy here. 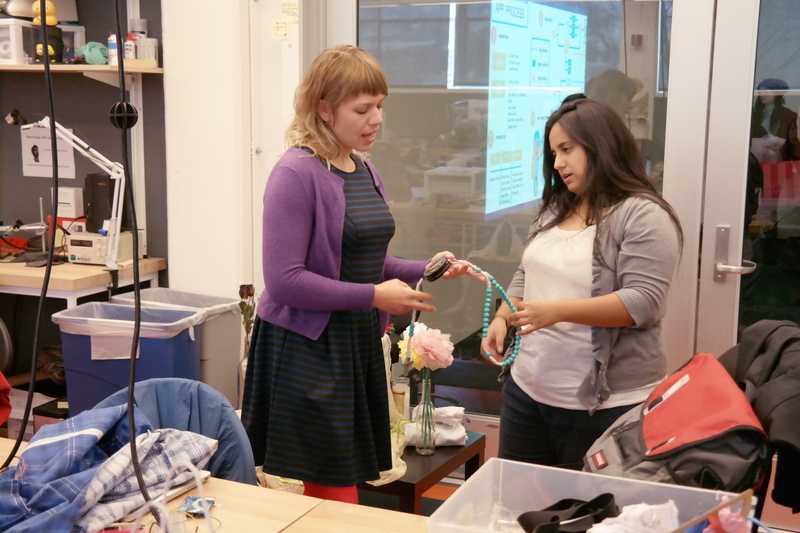 Wearable and Soft Interactions is a class taught at California College of the Arts. In 2016 it was accepted as an Upper Division Interdisciplinary Studio program (UDIST) class which opens it to all disciplines. The main class project shifted from an open concept format into one that focused on working and building soft, flexible and sometimes wearable interfaces for people with physical disabilities. This was possible by partnering with Sara Kronrot, her family and Dr. Cortney Bolden from Safe Passage in 2016. In 2017 the class partnered with Maureen DeCoste from Ability Now Bay Area and designed for Ability Now attendees Kevin Siemens, Emile Perry, José Yapching and Atakilti Haileselassic. Wearable and Soft Interactions is a studio class developed for the Interaction Design department at California College of the Arts (CCA). Stay tuned for student work and curriculum outline. 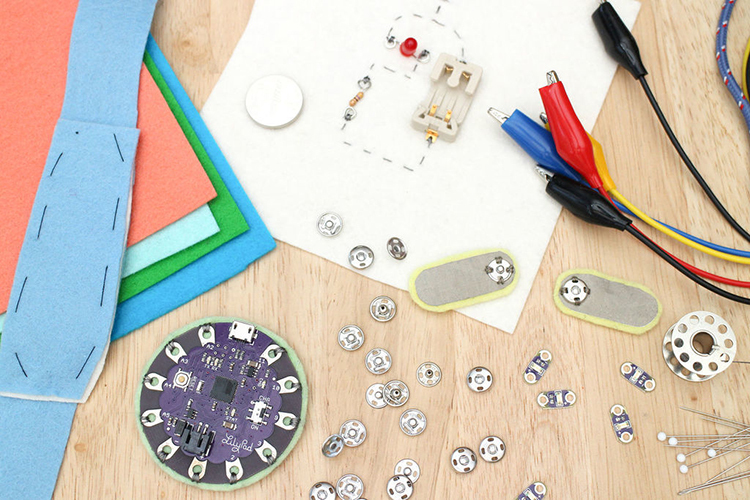 You will learn techniques and apply new concepts by building a sewn circuit pin, two kinds of soft switches, a flex sensor and by making your microcontroller modular. You will also learn about digital and analog inputs and outputs through building the two main projects: The Hi-5 Collector and the Slouch Alert. The Hi-5 Collector is a project that makes social interaction game-like by introducing a goal achieved by collecting high-fives. 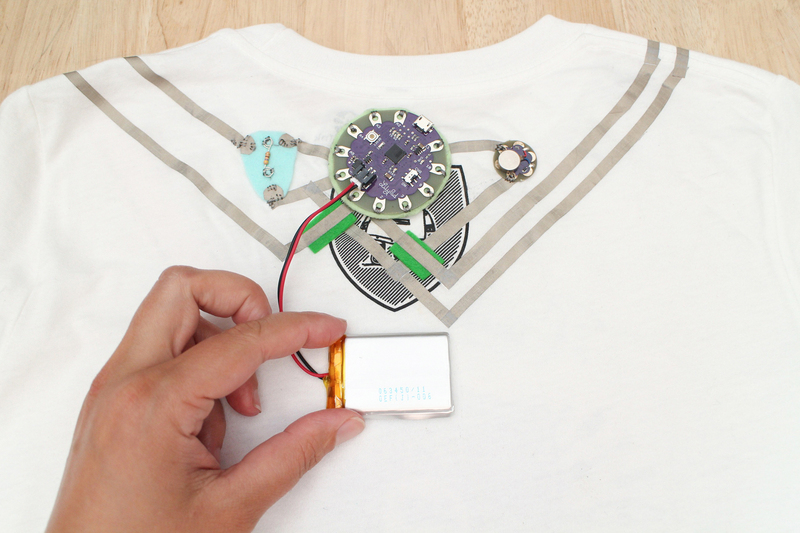 The Slouch Alert project uses a handmade sensor to read a body’s movements and notifies you when you are slouching. As a bonus, you will also learn how to easily trigger sound clips using the Slouch Alert circuit! Wearable electronics are circuits built around and for the body. 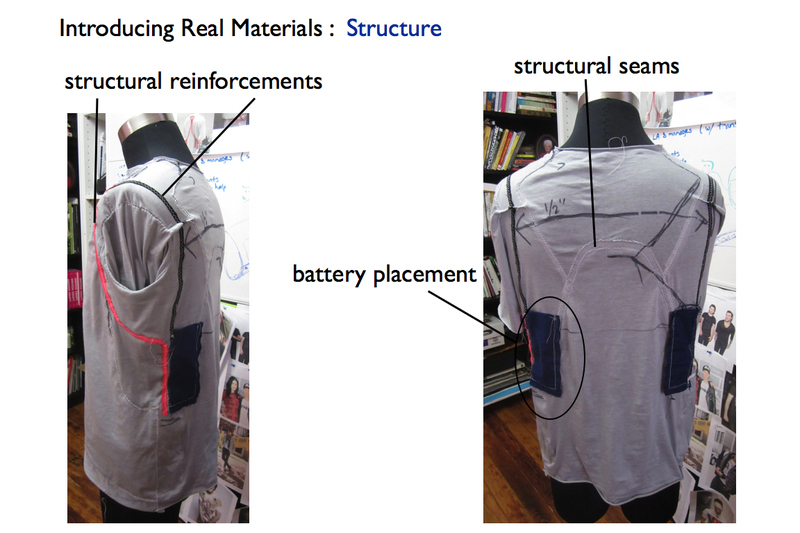 Wearable electronic projects often include soft circuit and e-textile elements and materials. In this two day intensive, you will build a soft circuit and think about how electronics can interact with the body as well as get an intro to Arduino and the Flora microcontroller. Beginners are welcome! During the first day, you will learn about conductive and resistive fabrics, threads and how to use them to build a handmade sensor and switch. These components will be connected to Adafruit’s Flora board where you will use and manipulate example code to actuate light and sound. Afterward, you will have time to reflect and start to brainstorm about what purpose this circuit could have in relation to the body. You will learn how to use the Silhouette CNC cutter to create iron-on conductive fabric circuit traces that will be used in the next class. T-shirts will be available to use to build the circuit on to during day 2 of the workshop. Bringing your own garment or accessory is also encouraged. We will discuss what makes a good candidate to build your circuit on to during day 1. The second day you will take your alligator clipped circuit and put it on the body! Prototyping methods for wearable electronics will be discussed but mainly self-discovered through hands-on building and experimentation. You will then choose a place on the body to build your circuit for. Each person is encouraged to build their own circuit, but everyone will prototype and build in groups to support, brainstorm and lend a hand when help is needed to pin a sensor to a hard to reach place. There will also be swatches of techniques (insulation, strain relief) and samples of conductive materials (wool, trims, etc.) brought in and left in the Hybrid Lab temporarily for students to explore on their own time outside of the workshop. 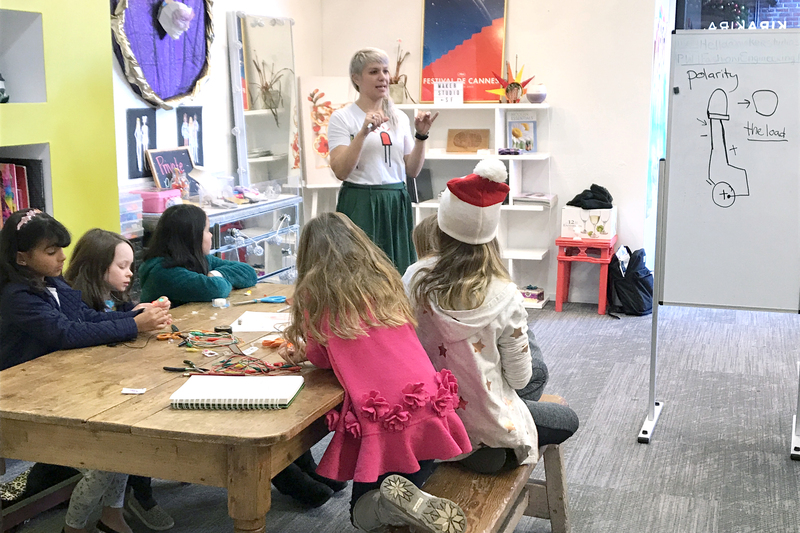 Maker Studio SF is a maker space located in Ghirardelli Square in San Francisco that focuses on teaching youth, especially girls, technology through fashion. They provide after school programs and camps that focus on the merging of engineering and creative practices, emphasizing that one is intrinsic to the other. I had the pleasure of teaching the first workshop in their Fashion Engineering Camp program. 15 students in total ranging from 3rd to 7th grade. The students learned what a basic circuit was along with concepts such as polarity and resistance. They learned how to build a soft circuit using conductive thread and iron-on conductive fabric as well as how to make a soft variable resistor using Velostat a piezoresistive plastic. Co-taught with Rachel Freire at eTextile Summer Camp 2017. 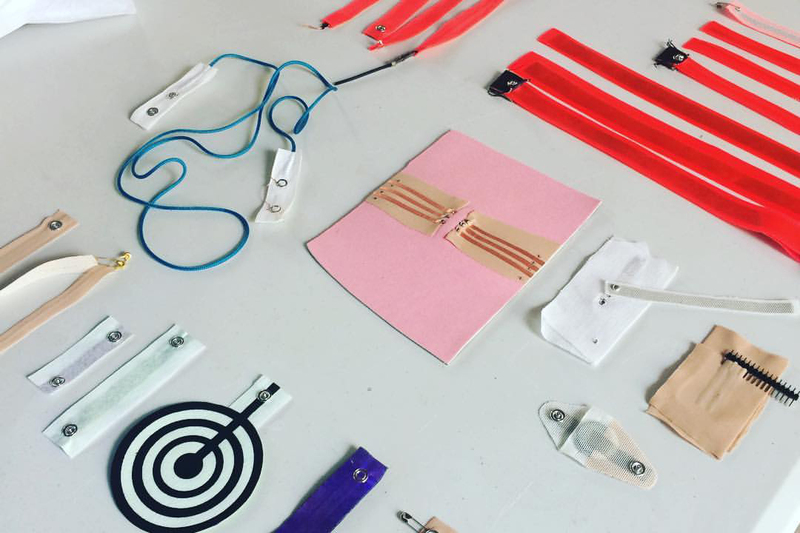 This hands-on workshop provides an overview of materials and methods used in rapid prototyping soft goods with embedded technology, including how electronics and fashion fuse within the realm of DIY and what happens when we move to the manufacturing level. Gain experience with rapid prototyping from a fashion-and-textile-designer-turned-fashion technologist. 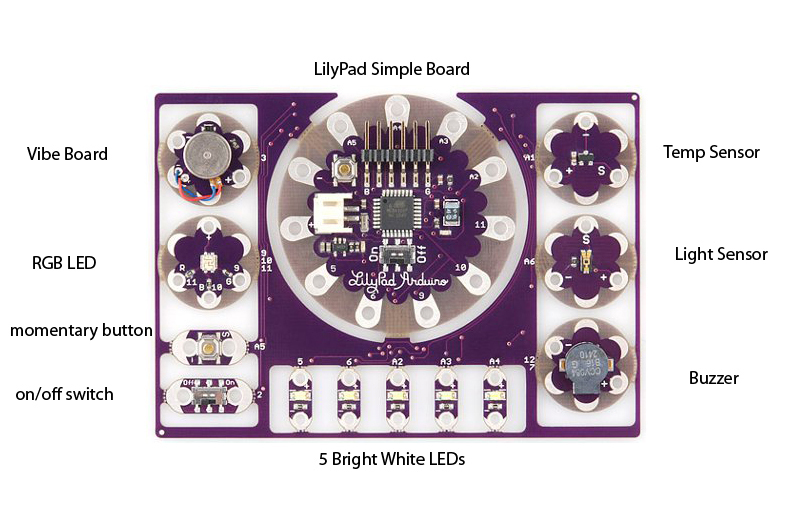 Taught in 2012 at CCA as an introduction to using the LilyPad Protosnap Kit and Arduino IDE. Students learned how use and program interactive costumes using the Arduino microcontroller and components. Topics covered: digital and analog input and output, wearable electronic prototyping and finishing techiques, and controlling EL wire with a microcontroller. 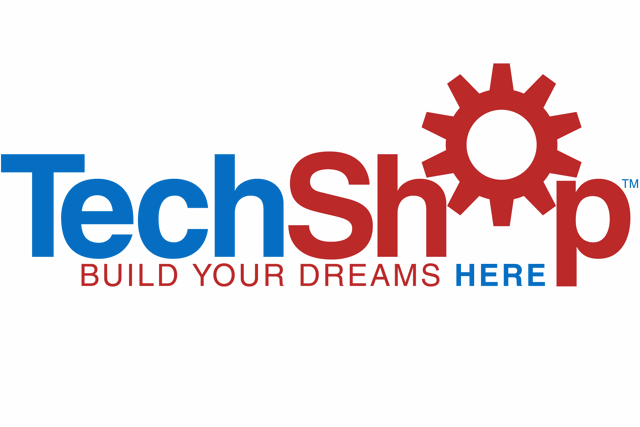 A workshop taught at TechShop San Francisco in 2012. A brief overview of wearable electronics history, what soft circuity is; the difference between hard and soft component and how to make a soft circuit color mixing RGB LED bracelet. A one day intensive workshop covering how to build soft counterparts to hard electrical components through building a soft interface that connects to a mini synth circuit comprised of breadboarded oscillator, filter and signal divider. Designed and taught at NIME, 2012 at University of Michigan, Ann Arbor, Michigan. Taught at New Interfaces for Musical Expression (NIME) conference in Oslo, Norway in 2011. Our workshop will begin with a discussion of soft circuitry including recent research projects completed by FSP. 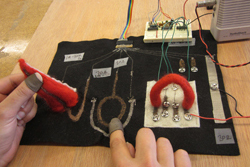 We will demonstrate fabrication techniques for creating soft circuit controllers, including carding, dry felting and machine and hand sewing with conductive and resistive wools, fabrics, threads and methods of attaching to hardware. 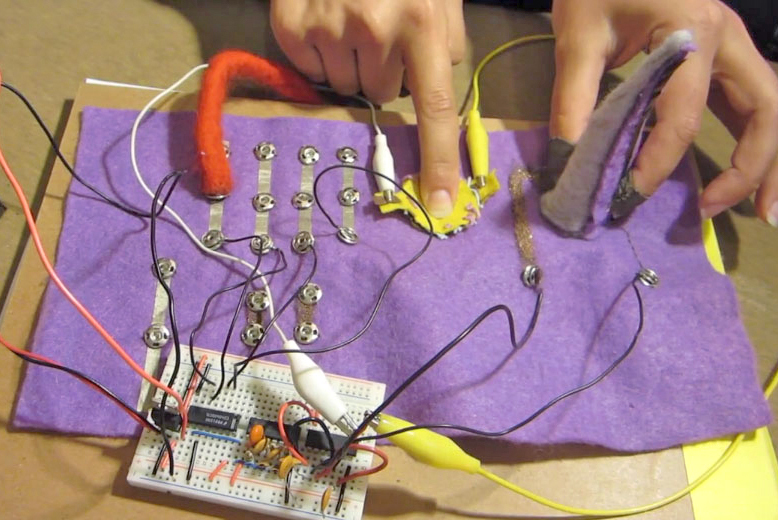 The group will be lead through building a simple synthesizer circuit followed by building the soft circuit controller to interface with the hardware. 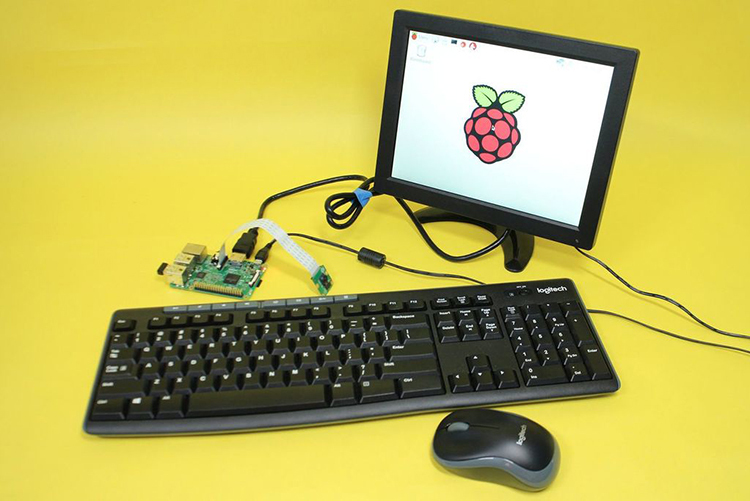 Participants should also feel free to bring projects they have already built and would like to potentially make a soft controller for. While we will have some digital multimeters and basic tools on-site, please come prepared with diagonal wire cutters and wire strippers. We will have kits available for participants with all the electronic parts and materials needed to create the synthesizer circuit and interface. These kits will include a small raw loudspeaker, 9V battery + battery clip, alligator test leads, solid wire, breadboard, electronic components, 1 dry felting needle, 1 sewing needle, wool and conductive fabrics and threads. We will also have some additional materials on-hand in case anyone needs extra supplies.